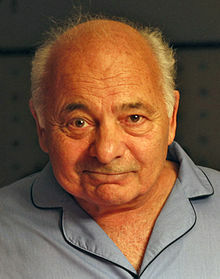 Richard Morea (born April 30, 1940), better known by his stage name Burt Young, is an American actor, author and painter. He is best known for his role as Rocky Balboa's brother-in-law and best friend Paulie Pennino in the Rocky film series. He has also been praised for his roles in Chinatown (1974), The Gambler (1974), Convoy (1978), Uncle Joe Shannon (1978), Once Upon a Time in America (1984), The Pope of Greenwich Village (1984), Back to School (1986), Last Exit to Brooklyn (1990), Transamerica (2005), and Win Win (2011). I enjoyed playing around with that guy, and it was a pleasure every three, four years, coming back seeing how the wardrobe is. Is he heavy? Is he thin? I had fun. I used to be a fighter and I'm used to taking weight off.